Following the success of his recent single and video Celebrity – Reason is gearing up to celebrate his 30th Birthday in an extraordinary way! 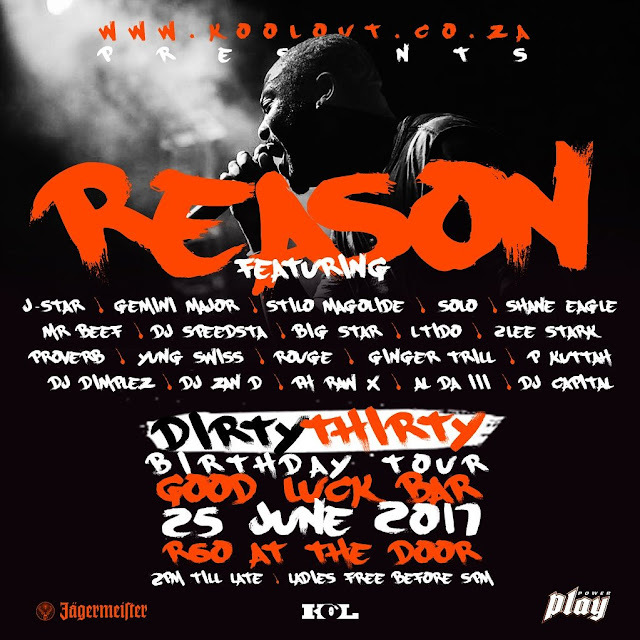 Reason will count down to his birthday on 25 June by giving his fans the opportunity to watch him perform new material and their favourite songs live at a special birthday concert in Johannesburg at Good Luck Bar. The All the Time rapper will then further celebrate his crown birthday on 30 June by officially releasing his album Love Girls – which will include the hit single Celebrity; All The Time; and So Beautiful on the album. 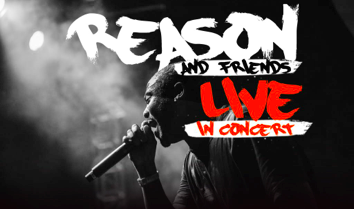 “There’s just no better way to celebrate my birthday than with my fans — and of-course we’re doing it the Reason Season way!” said rapper Reason on the release of his upcoming album and his live concert. Tickets to Dirty Thirty Concert at Good Luck bar on 25 June are available at the Door for R50. Doors open at 2pm. Love Girls is available for pre-order now on iTunes and will be available for purchase on Reason’s Birthday 30 June.